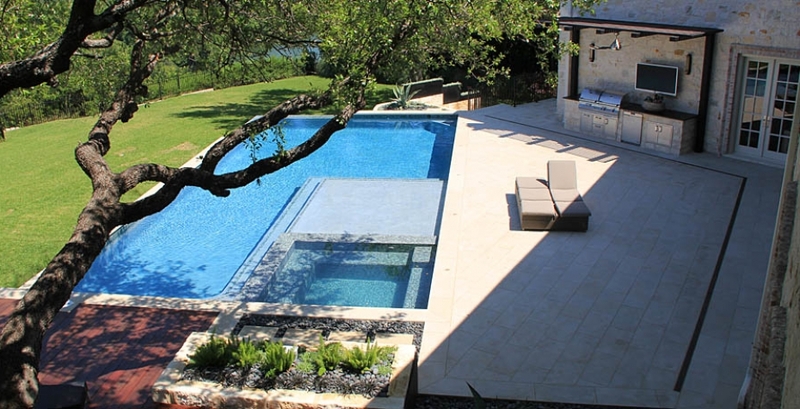 You can create your custom dream pool with award-winning Austin pool builders on your side! When you make the decision to build a custom pool, it can be an overwhelming task to choose the design, the layout, and most importantly: the swimming pool builders that are going to install the pool for you. 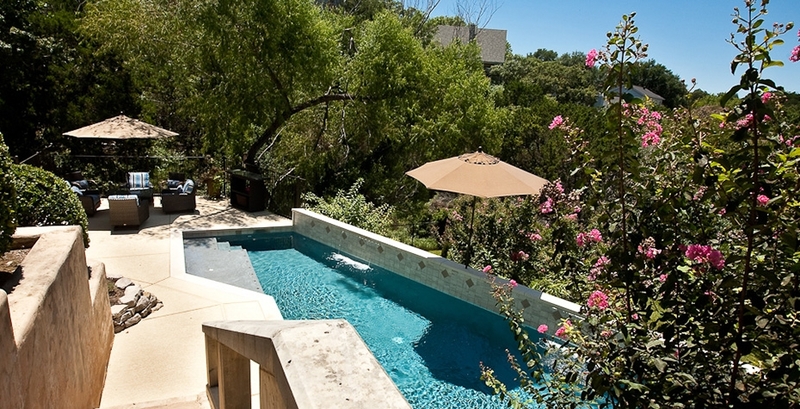 That’s where our Austin pool builders come in. 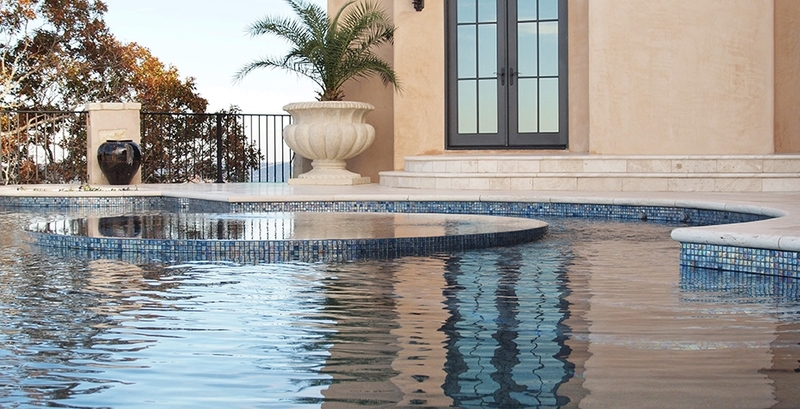 Austin Pool builders, Tri-County Pools makes choosing a swimming pool design an effortless process. Whether you are a residential homeowner or commercial business, you can feel confident that Tri-County Pools will provide you with the knowledge and resources necessary to help you choose the perfect dream swimming pool to match your lifestyle. 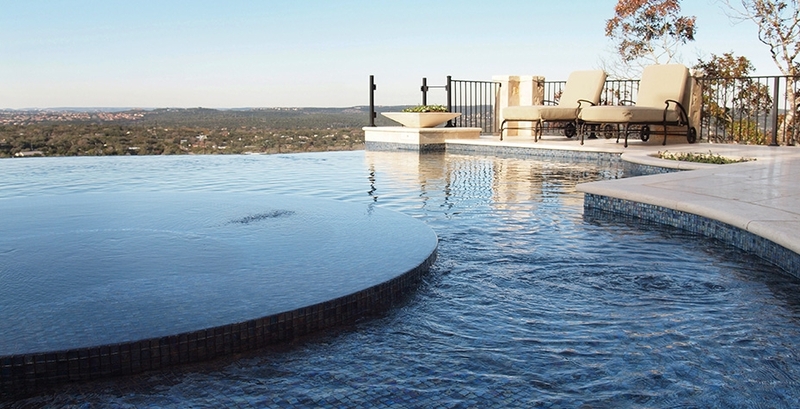 We specialize in the conceptualization, custom design and construction of superb gunite swimming pools and bubbly spas in Central Texas. 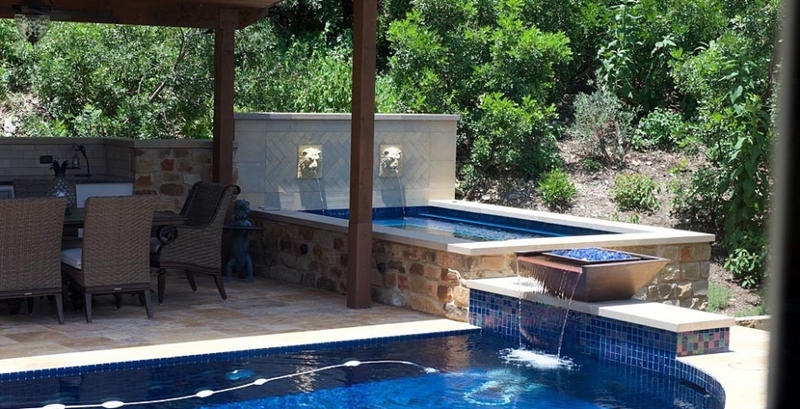 Our company has been building quality Austin swimming pools since 1992 and our management staff has over 100 years combined experience in the conceptualization, design, construction, and maintenance of swimming pools and spas of all sizes and shapes. 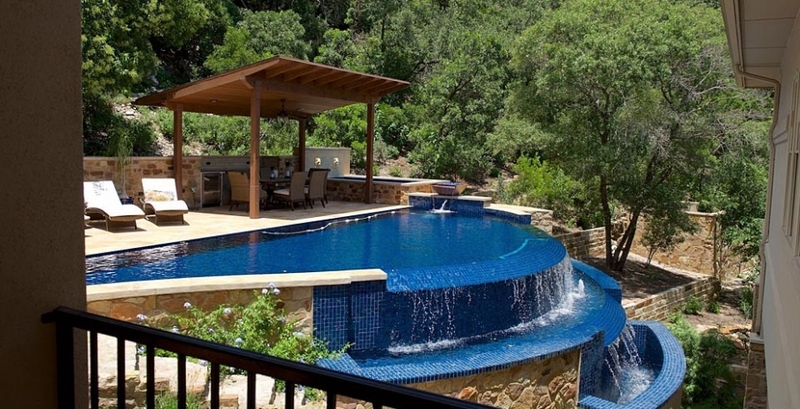 We are recognized as one of the premier swimming pool builders in Austin and Central Texas. This simply means that our pool design and construction teams have the experience, knowledge and skills to create quality custom gunite swimming pools that you and your family can enjoy for a lifetime. 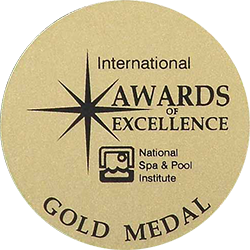 We are honored that we were the only Austin pool builder in 2003 to achieve an award of excellence. Our # 1 priority has always been to ensure that you are completely satisfied with your swimming pool. At Tri-County Pools, our in-house service department is staffed with factory trained technicians to assist you with maintenance, repairs, and even rehabilitation of gunite swimming pools. We can build you a quality custom designed gunite swimming pool, no matter where you live in Central Texas! 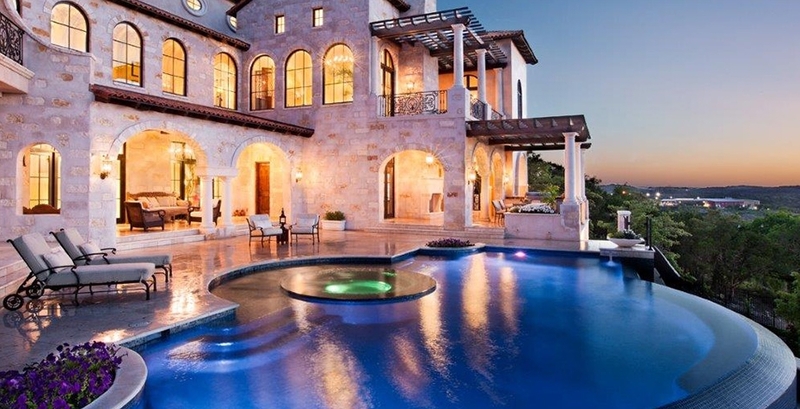 Whether you want a swimming pool built in Austin, Cedar Park, Round Rock, Giddings, Lakeway or anywhere in Central Texas, you can be assured we will provide you with quality and attentive customer service and superior craftsmanship to design and build the perfect swimming pool that accents your lifestyle. Contact Tri-County Pools today and experience the difference! 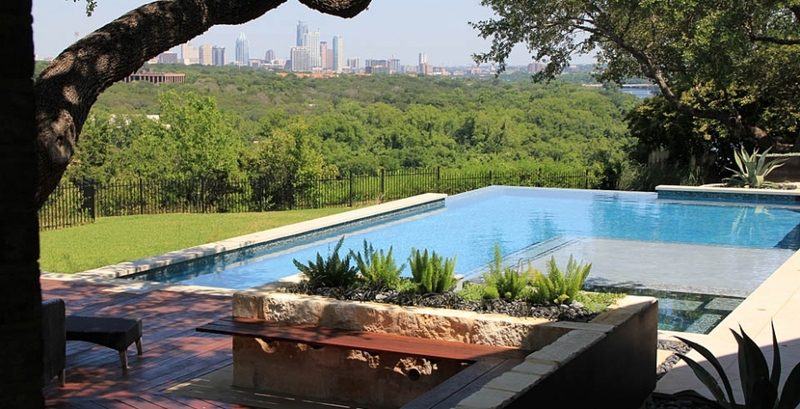 When it comes to choosing an Austin swimming pool contractor, you want to choose a company that is committed to excellence, listens to your needs, and works with you from start to finish. Whether you need a residential pool, a commercial swimming pool, or a relaxing spa, you can feel confident that we will get the job done right. From start to finish, we will design, construct, and install the highest quality swimming pool for you and your family to enjoy for a lifetime. Our main goal is to offer our clients COMPLETE swimming pool services from start to finish. PERSONAL service from inception to completion, construction of the highest quality, and competitive pricing are what you can expect from us! Call us today to schedule a visit, request a bid proposal or simply ask for references from our many satisfied clients in Central Texas. 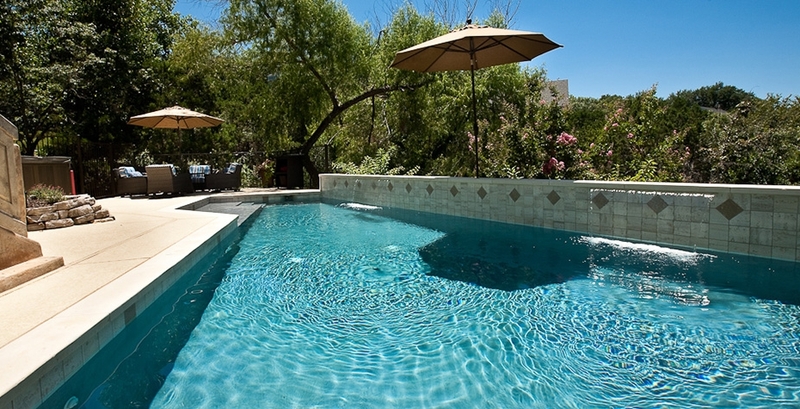 Call (512) 990-9252 and let us start working on your dream pool today! “The pool looks great and we look forward to using it when the weather gets warmer." “Thanks for delivering to us a beautiful product in a very cost effective manner." “Thank you for everything. The pool looks fantastic and we are so pleased. Everyone from Tri-County has been very professional and a pleasure to work with."